Reading your post, then sifting through it....in short. 1. You are unable to prove tribal affilations to enroll with either the Cherokee or Choctaw. 2 tribes. 2. You look "more" Indian than actual tribal members. 3. You are always asked what tribe you are from. Like Apache? As I'm sure you are aware, the Choctaw Nation and Cherokee Nation of OK (Keetoowah is 1/4 BQ enrollment), these tribe only require lineage, not degree of tribal blood. There are many proud Cherokee citizens who learn their heritage and care. Most tribal members are from the old families and didn't "just" enroll for benefits or enrolled because of how Indian they look or don't look. They were enrolled by their parents, but through the generations of lineage. They didn't just wake up and find an ancestor on the roll and say, "Gee, I'll be Cherokee today." You look Indian like this Crow girl per se? 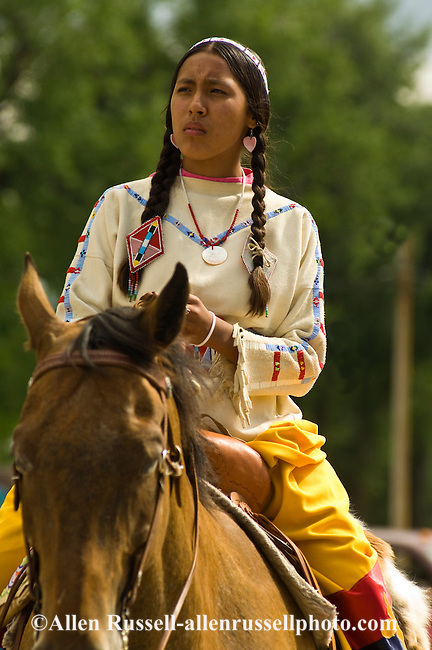 This is a beautiful Indian. Before we berate actual tribal memebers, tred lightly. Many white people in the United States claim to have a "drop" of Cherokee in them, and even seem to think this is true. I usually ignore this claim, but lately have been wondering if it is true or not. The people that claim this are what we would all think of as 100% white people, but they claim that some ancestor was a Cherokee. Some claim to have heard this from their parents, but most have no hard claim. I am still convinced it is myth, but I would like to hear from white people who may have actually traced their own ancestry and found a Cherokee person, or those who have not. There were a lot of Cherokee "mixed bloods." During the Civil War, for instance, the leader of the Cherokee in Indian Territory was something like 90% white. But yeah, a lot of people claim Indian ancestry because it's romantic. But it's not unusual and quite common for whites to have Indian blood in them. This thread is closed due to arguing with and insulting each other. There will be a cooling down period after which it may be re-opened.